Quick overview Revision of: Popular music culture / Roy Shuker. 3rd edition. 2012. 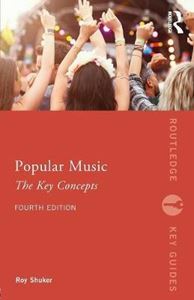 With further reading and listening included throughout, Popular Music: The Key Concepts is an essential reference text for all students studying the social and cultural dimensions of popular music.